The internet has turned into the most powerful tool of all, and has an immense influence over people’s activities. One of these activities is the buy-sell process, and this is where Kichink comes into play. Kichink is an integrated Mexican solution that helps producers, small business, and large businesses to sell their products via ecommerce without having to make large investments, through the use of their platform. 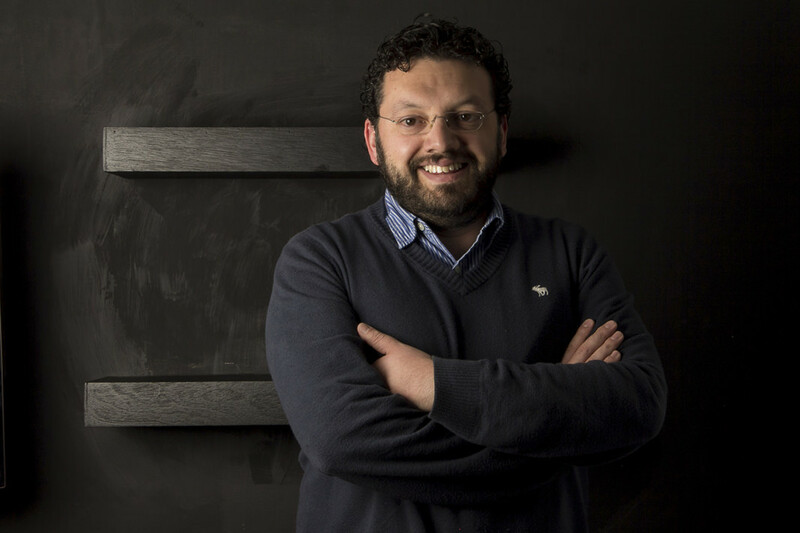 Alfonso Lomelí, founding partner of Kichink since 2012, oversees the infrastructure and equipment that makes the delivery of goods to the final consumer. On this particular occasion, we interviewed him for Kolau, and this is what he told us. In 2015, Kichink was recognized as a Game Changer on Google Demo Day for Entrepreneurs, Women’s Edition in San Francisco. What did you do to achieve this award? Alfonso: The first thing that we did was that we worked hard and for this particular achievement, Google invited us to participate, and we filled out the forms according to the requirements of the meeting. Thanks to the obtained results and the presentation that was given by Claudia that day (founding partner of Kichink); as well as a vote carried out on the Internet, we obtained the award. How did the idea to create Kichink started? Alfonso: It was an idea that we had among several friends. What happened was that, before Kichink, we worked at a digital agency. This agency was ours, and within it we were able to sell web applications, telephone applications, and web pages. During that time, several of our clients asked us to place a shopping cart on the page that we developed. We would turn in the project and within a little while, they would ask us to take down the shopping carts because they caused more problems than solutions. They spoke to us about the problems they had: they didn’t work; when they did work, they performed poorly; when connecting to banking institutions, they had issues; and when they would manage to sell something, the delivery process was a hassle. It caused massive amounts of problems in the customer service department. It was at that moment that we decided that we needed to do something about it. It couldn’t be that e-commerce worked everywhere but Mexico. So, we analyzed the problems, we confronted them head-on, and that was how we were able to identify what was causing us so many problems within Mexico’s e-commerce. We thought up and created an integral platform, capable of taking care of the online catalog, the payment process, the logistical processes, and even the customer service aspect, so that one could sell whatever they wanted to on the Internet. What would you say makes you different from other types of ecommerce platforms? Alfonso: I would say two things. One is the power to manage the complete commercial cycle online, from the server administrations, to the online catalogs. After that, I would say it’s the payment process, having the ability to receive payments with any credit card, debit card, or even up to and including cash. To be in charge of the logistics through our strategic allies; we are responsible for collecting and delivering all of the products that are sold through our platform. And finally, we have a customer service system that is the face of this cycle. This means that if something goes wrong, the only place you need to go to ask questions is Kichink. This helps tremendously so that people can trust us in our quality control and that what they order will get to them. This is what separates us from other platforms, before anything else. And the second difference is our business model. Where we place the online store, it has a zero investment cost: zero monthly payments, zero annual fees. We work on commission per transaction, which means that for Kichink to come out on top, you need to sell your products. Each store has to sell its products and/or services; and this is what makes us practical commercial partners. This business model is turning out to be an important differentiating factor. So do you support the brands or the individuals that are announced through Kichink’s publicity? or do you spread the word so that customers will end up buying? Alfonso: The reality is that the service (Kichink) is an aggregated service. The promotion of the store is the responsibility of each one of them. We help a bit with the social media aspect, and with what is available from our homepage (from Kichink’s website) at first glance. But that’s not the core of what we do. What is the difference between the publicity that you use to gain clientele that you announce on Kichink, and the publicity that is directed at customers so that they will end up using Kichink? Alfonso: In reality, this is a very interesting question, from the very beginning we have had this in mind. It was at that moment that we made the decision that we would differentiate with two types of messages and that we would place them both in distinct spaces at different times. Our concern was to constantly attract more stores, the best stores, and for that we needed a membership team that could handle the arrival of these stores. The arrival of new stores occurs in two ways: the stores themselves come to us through the internet; and then there are businesses that we actively look for. This team oversees the messages that are used to attract the best stores, and on the other side, we maintain communication with the clients through strong platform relationships. On Kichink, purchases are made through a secure platform, where your money is guaranteed. Let’s talk about a case where a product is sold out, Kichink responds to that situation, it lets you know that the product is sold out and that we are currently able to offer similar products, or to return a client’s money if they prefer that. We are concerned with ensuring that these messages matchup and that we are always able to maintain the ability to reach out to more buyers. So I see that you have a strong social media presence. How important is social media for Kichink, and which platform works best for you? Alfonso: Social media sites are essential for us, and as I was saying, it’s more the business model that each store has that promotes their products. We make a small contribution to promoting them, as we maintain communication; but what’s more important is that our communication team designs messages that are capable of being amplified through each store’s social media sites. That’s to say, we design the campaign; for example, the Christmas marketing campaign. And on top of designing it, we make it available to our stores so that they can further replicate it within their social media outlets. In this way, we not only reach the social media sites that Kichink uses; but we also reach the social media outlets that our stores are using. The social media sites that we use are Instagram, Twitter, and Facebook. The one that is the most interesting for us is Facebook. Kichink is able to allow you to maintain a store within Facebook, so that you can see it and that all of it can be handled from your Facebook account. For this environment, we call upon our servers, and we make the connection so that it’s possible to perform transactions directly within our platform. An important percentage of transactions that are made through Kichink are achieved through Facebook. And, apart from Social Media Networking, do you use any other advertising methods? Alfonso: In reality, there were many years that we didn’t have any other form of advertising. Just starting last year, we have begun a campaign with Public Relations. To help the platform become known, we are using publications and interesting sites. Actually, we haven’t made a significant investment into the promotion of our platform. What strategy do you use to retain clients? How important is it for SMEs to immerse themselves in the world of ecommerce? Alfonso: Evidently, after the many interests that brands pursue or that they want to achieve; it seems essential to me that today, and looking forward, that SMEs have an online presence. This causes them to have a distinct outreach apart from that which can be reached with a physical store. Having a brick-and-mortar store and an online store is what we recommend so that they can have the largest impact possible, in a way that the most people possible have access to the store, regardless of their geographical location. What advice can you give startups that are just beginning? Alfonso: The advice that I always like is to “rush to launch”. Over the years, I have known many projects, and some very good ideas; but if one stays “chewing” on Excel and perfecting the idea, without going to the market and trying it out. There are a lot of projects that become stuck in production. So, the recommendation I have is to launch now with the smallest launchable version that you have. In this way, you will have the opportunity to hear what the market has to say as soon as possible, and will be able to understand if your product is exactly what the market is looking for. In this way you’ll be able to see if your product is good, or if you need to make two or three modifications in order to have something that will work. Or if the product is good, or if the service is great, but you are communicating it wrongly, etc, etc, etc. So, the recommendation is that you implement your ideas as soon as possible. Alfonso: Well, to say thank you for the space and to invite people to look for products that they like online, and that they place the products that people may like online.